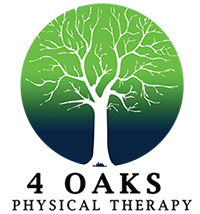 On your first visit to 4 Oaks Physical Therapy, your therapist will conduct an evaluation of your condition lasting between 60-90 minutes. This evaluation is essential in creating a program designed specifically to address your needs for a maximum recovery. Please arrive 15 minutes early on your first visit, to fill out any necessary paperwork. Please bring your referral slip from your medical doctor, medical insurance card and identification. If you are getting therapy as a result of a worker’s compensation claim or an automobile accident, you will also need to bring your claim information, including claim number. Maryland is a direct-access state. A physician referral is not necessary for you to be seen by a licensed therapist. Please check with your insurance company, however, as many health insurance plans require a physician referral for therapy to be covered. We also offer other treatments and services do not require a referral and are available on a self-pay basis. We participate in the majority of health insurance plans including Medicare and Worker’s Compensation. Please contact us prior to your first visit to see if we participate with your specific health plan. The number of visits that you will need will be determined after your initial evaluation. Most patients have 3 visits each week scheduled.